The la Gloria, an 887 ct. museum-quality stone, the largest Muzo rough emerald in North America, is to be auctioned by Guernsey’s on April 25 in New York City. The La Gloria and 17 smaller rough emeralds discovered from the wreck of Spanish galleon Nuestra Señora de Atocha, are all from the collection of noted emerald authority Manuel Marcial de Gomar, Rapaport wrote. 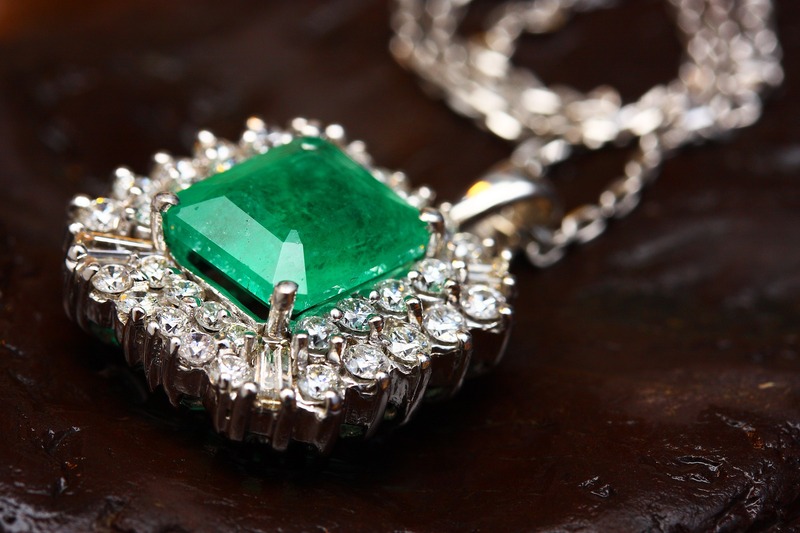 “It’s very rare for an auction to spotlight emeralds,” says Arlan Ettinger, founder and president of Guernsey’s. “We feel this will be an extraordinary event.” Most stones on auction, other than the La Gloria, will go under the hammer without a reserve. “That makes it more exciting,” he says. The stone was sourced from the Muzo mine in Colombia. La Gloria sat in de Gomar’s collection for many years, and although the rough could likely yield a 400 ct. polished stone, the collector believes it shouldn’t be cut. The Atocha sank in 1622, near the coast of Florida while en route to Spain. Marcial de Giomar befriended Mel fischer, the treasure hunter who in the 1980’s discovered the sunken Spanish galleon Nuestra Señora de Atocha.